WSPK is located on North Mt. Beacon, which is the highest point for miles around. It has a fantastic signal. The site is a little difficult to get to, however, especially in the winter. In previous years, the road has been impassable four months out of the year. Some engineers have hired a helicopter to get up there when the snow is deep. For that reason, it is important to keep the equipment in good shape. After last February’s snow/rain/ice storm, it was noted that the top antenna radome was missing it’s top. 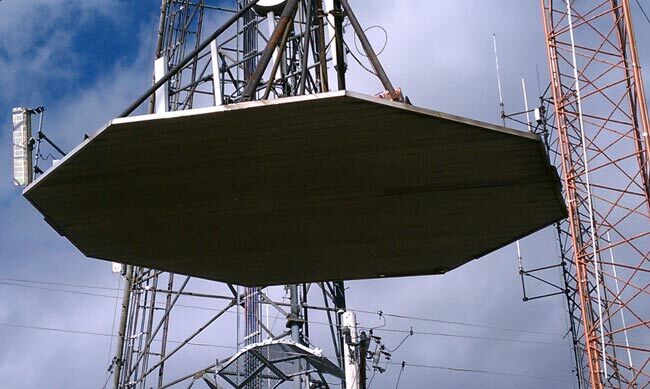 A tower climber was sent up to look at it and it was also discovered that the top bay was bent down and the element was almost cracked in half. A result of falling ice, likely from the big periscope microwave reflector (passive reflector) mounted above it. 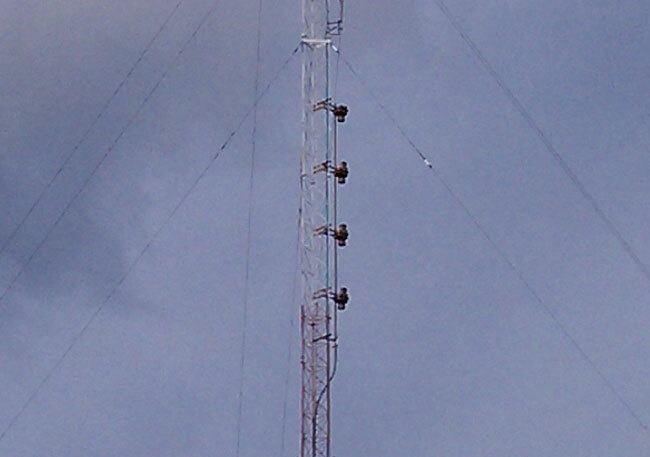 The periscope reflectors went out of service in 2007, but the tower owner did not want to pay to take them down, thus a problem was not being solved. 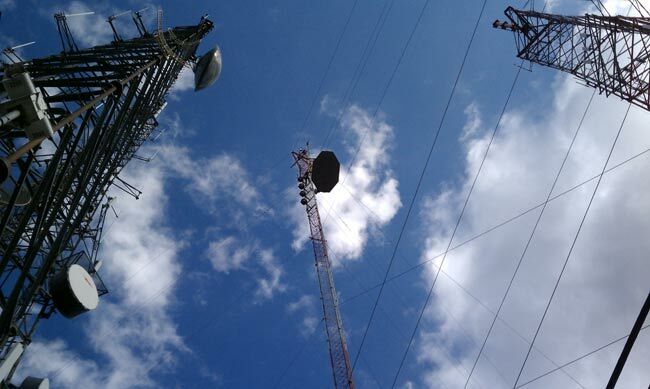 It was decided to replace the 25 year old Shively 6810 antenna with a new one, during which work, the radio station would pay to remove the reflectors from the tower. 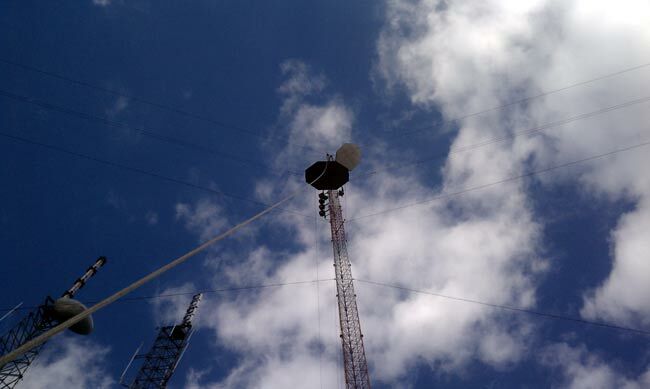 In exchange for that work, the radio station would then be able to repair and remount the old Shively antenna below the new one, thus having a backup antenna. Problem solved, except for, you know: The actual work. 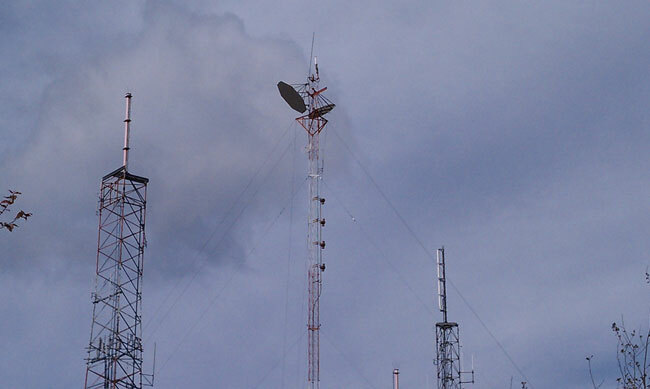 The tower and the periscope microwave system was installed in 1966, operated on 12 GHz and was used by the Archdiocese of New York to relay their educational television programming from their Yonkers headquarters to the various schools in the Hudson Valley. Sometime around 1975 or so, the FCC mandated that periscope microwave systems could no longer be used due to all the side lobes and interference issues they caused. They were to be taken out of service as soon as possible. The Catholic Church, being a multi millennial organization figured “as soon as possible” meant within the next fifty years or so. Anyway, somebody else needed that frequency, therefore in 2007, they bought the Archdiocese a new digital microwave system. The problem with the reflectors; they are big. They are also heavy, and present a huge wind area. They are also 300 feet up in the air. 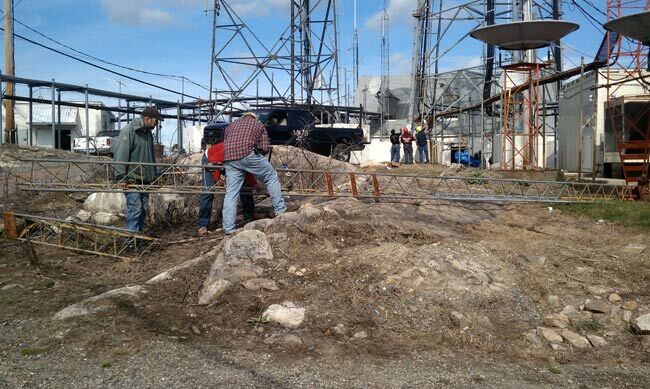 Finding a day with lite winds on top of Mount Beacon can be a problem. Luckily, the weather was with us. Still, it took a while to get this work moving along. The other consideration is RFR and tower climber’s safety. 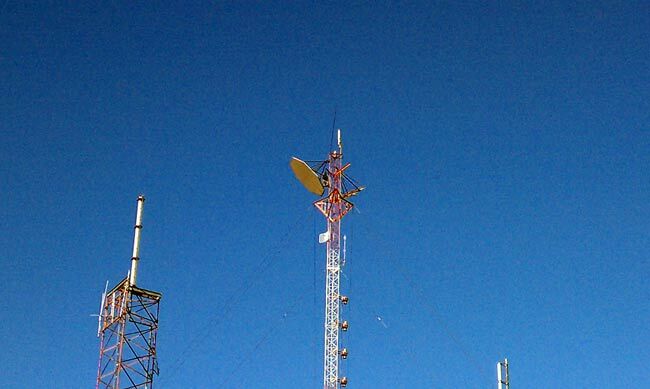 There are two digital TV stations, WSPK, several cell carriers, something called “Media Flow,” and a bunch of two way radio repeaters. 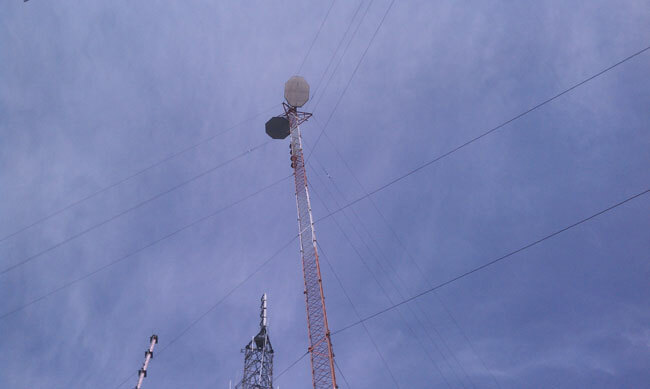 The main concern was WSPK, the DTV’s and Media Flow since the top of this tower is right in the aperture of those antennas. All either went way down in power or off the air while this work was on going. Rigging a gin pole and getting it to the top of the tower was a chore. The gin pole needed to be threaded through those torque arms like a needle. 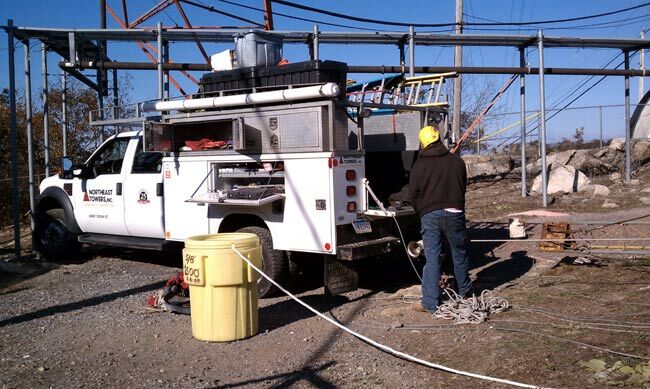 The tower riggers truck had two winches, one a basic 120 volt capstan, the other a hydraulic winch in the bed of the truck with 1/2 inch steel cable. The bolts holding the reflectors in place had to be cut with a saw, you can see the tower climber working on the left hand reflector, gives you an idea of size. If this reflector were to fall off the tower, chances are good the major damage and or injuries would result on the ground. Proceed with extreme caution. 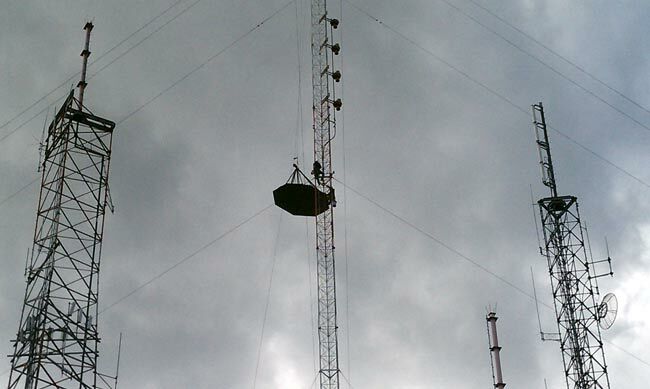 Carefully lowering reflector past Shively 6810 FM antenna and Scala PR-950U microwave antenna. During this phase, the tower climbers had to push the reflector out away from those obstacles with their legs. You can see the gin pole at the top of the tower. Almost down to the ground. This measured 15 by 10 feet and ended up weighing 830 pounds. One down, one to go. I can’t believe those gigantic things were at the top of this tower, on the top of this mountain for 43 years and the tower is still standing. This is going to change the appearance of the mountain top from down below. For years, it looked like a pair of mickey mouse ears, now it will only look like a tower. I wonder what the environmentalists will think. I will make a second post with the antenna pictures as this one is getting a little long.